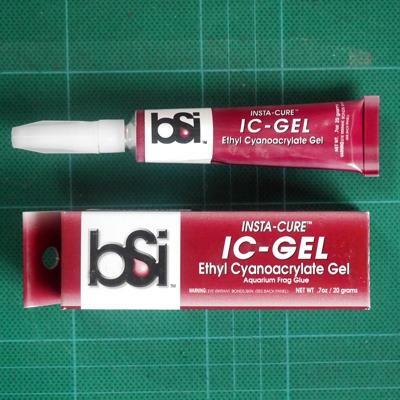 Insta-Cure CA Gel™ - 20 Grams. One of our favorite adhesives with plenty of uses! 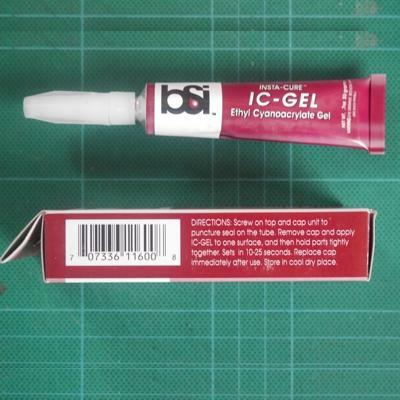 This is a cyanoacrylate paste that is extremely thick which comes in an applicator tube like toothpaste. It can be applied to a vertical surface and will stay in place and will not run. It can be applied at any angle with just a squeeze of the tube. 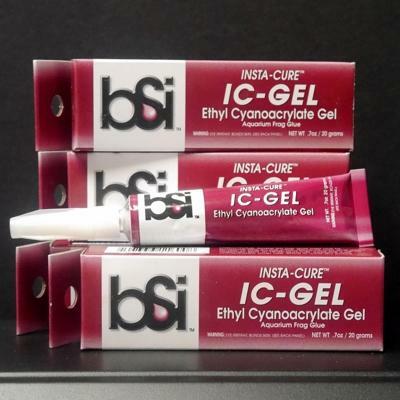 The gel does, however, have a tendency to continue to come out of the tube for about a second after pressure is released, so this must be taken into account to apply the exact amount of IC-GEL™ that you want. CA Gel is an excellent putty for plastic models. It will fill any void and can be formed to many shapes. Applying accelerator allows the gel to be sanded or filed to final shape in less than 20 seconds. CA Gel has a superior shelf life of over three years and its application nozzle makes it the easiest of all CAs to apply. Speaking of having lots of uses, IC-GEL™ can even be used for the bonding of fragments of live coral (frags) to underwater rocks in aquariums! It has proven to be non-toxic to aquatic organisms and provides instant bonding for the propagation of the coral.